A complimentary initial consultation is an excellent opportunity for you to view our clinical environment, meet the staff and discuss your treatment options. This no-obligation consultation lasts around 20 minutes and also allows you to meet Dr. Punit Shah who will discuss your interest in dental implants and reassure you if you have any implant concerns. Intraoral periapical radiograph, if required. In-depth evaluation with Dr Punit Shah [Specialist Prosthodontist] on implant procedures and bespoke treatment plan. Gum condition evaluation (test for gum disease). Jaw joint examination and mapping. Written treatment plan with price outline. Our team strive to make your experience gentle, stress free and informal. From the moment you walk in, we aim to make your visit relaxing. The Initial consultation with Dr Punit shah takes place in our bespoke treatment area. 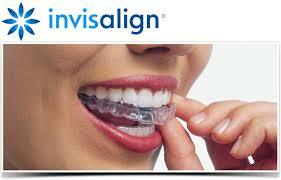 He will always aim to firstly understand your concerns and a detailed dental history will be discussed. Having gathered all the relevant information, Dr Punit Shah will discuss your treatment options and associated costs with you. He will give you all available options, implant or otherwise and also discuss the merits of each. At this appointment, if appropriate, we can also guide you further to our other Specialist colleagues. There will be plenty of time to ask questions and make an informed decision. Following the initial consultation, as part of the new patient evaluation, any appropriate radiographs will be taken [you may have your own that you wish to bring to the consultation]. The team of dentists and support staff at Alexandra Park is not only experienced working with children but is also very ‘child friendly’. We are aware of the special attention that our younger patients require and we aim to inspire them to be able to understand the concepts of oral health and the prevention of dental disease. With regular check-ups, our dentists can provide advice and treatment that can help your child keep healthy teeth for life. There are also specially organised Mouth Activity Days (MAD Days!!!) throughout the year when the practice is purely dedicated to children, with lots of fun, games and special goody bags for all the children. Please enquire for more details.